History of the famous budget 'Embassy Records' Label marketed by Woolies where some fine British Rock 'n' Roll was produced. Embassy Records were "in house" versions, later to be known as "covers", not always in the same style, of current hits in the U.K. and America, a practice carried out by all major record labels in the 1950s They were produced and manufactured by Oriole Records for F.W. Woolworth & Co.Ltd. from late 1954 until 1965, when the Oriole company was sold to C.B.S. 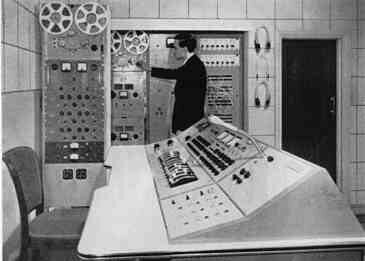 The last recording session took place 26th July 1965. A small group of session musicians became an elite club, producing hit recordings, often in one "take", with a maximum of three days notice of what they would be recording next! In the words of Ray Pilgrim..
"It's the label that's the star!" The label's releases mostly consisted of double A-side singles that were cover versions of then-current or predicted UK Top 20 hits and it was not unusual for different artists or contrasting pop styles to appear on either side of a record. Between November 1954 and January 1965 Embassy released around 1,200 songs recorded by about 150 different artists and these releases were sold for half the price of a major label release of the era. Embassy's records were recorded at the Embassy Recording Studios in New Bond Street, Mayfair and manufactured by Oriole Records, who also licensed the material to many foreign outlets. The tight Embassy recording schedule required four different songs to be recorded in one three-hour session. Included in this standard three-hour session was the initial studio set-up time, before any actual songs were recorded, and a mandatory musicians' coffee break. This meant that on average there was a little over 30 minutes allowed for the recording of an individual song, which in turn meant that the artists who did the actual singing had to be first-rate professional singers who could enter a studio and record a song in very few takes. 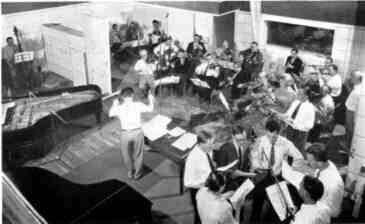 Therefore, these artists tended to be very experienced Big Band or session singers who would also regularly broadcast live on BBC Radio. Sometimes these musicians used their professional name when recording for Embassy but very often they used pseudonyms. The recording sessions usually took place on a Thursday, so that the cover version discs could be rushed out into the stores by the following Monday to compete with the real thing. As well as releasing covers of current hit singles, Embassy Records also produced EP's of trad jazz, children's songs, light classical music, and songs from musicals. The Embassy imprint disappeared after the parent label, Oriole, was taken over by CBS (Columbia in the U.S.), by which time the concept of budget cover version releases of current hit songs had been imitated by other labels such as Cannon, Crossbow, Top Six, and Top Pops. 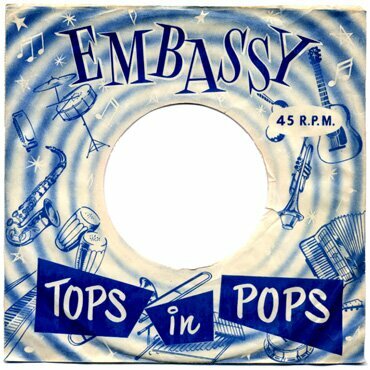 CBS subsidiary Hallmark/Pickwick launched the Top of the Pops series of albums a few years after the demise of Embassy, but unlike Embassy's releases, no artists were ever identified on the records.